Hi everyone! February was a really good reading month for me. Because I just started school again, I had a good amount of free time at the beginning of this month to read and not worry about having projects due. Without further ado, here are the books I read this February! 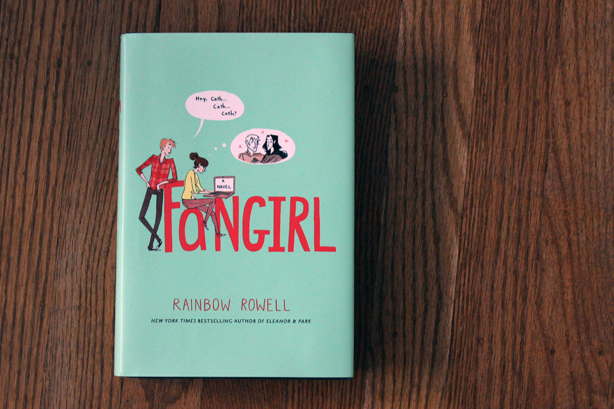 Fangirl was my first Rainbow Rowell book, and it was SUCH a fun read. The main character, Cath Avery, is a fan fiction writer headed off to college with her twin sister, Wren. While Wren is more interested in exploring all that college has to offer, Cath would rather stay in her dorm room and update her fan-fiction. Each of the characters had interesting and unique personalities, much like the people you can meet in college. I grew to love a lot of them and because this book was so relatable, it was easy to get through and enjoy. I hope this book gets made into a movie! For February's #AYearAThon readathon, I only completed two of the seven Harry Potter novels. I intended to read up to Goblet of Fire (the fourth book in the series), but I wasn't as motivated as I hoped to be. Still, two books during a school week is nothing to be disappointed about. I don't think I'll be continuing this series until the summer time because I want to read newer books and catch up with what people are reading now. Although this was the third time I read Harry Potter and the Sorcerer's Stone, I thoroughly enjoyed it. I always learn something new that I didn't quite pick up or remember from the last time I read it. This time, it was this: "... the Weasley twins were punished for bewitching several snowballs so that they followed Quirrell around, bouncing off the back of his turban." (p. 194) Did any of you catch that while reading it?! The Weasley twins basically threw snowballs at Voldemort's face. How awesome is J.K. Rowling for adding that? Another fantastic read! No Harry Potter book disappoints, really. In Chamber of Secrets, we are introduced to new characters — some that stay for the entire series, and some that only last for one book (like Gilderoy Lockhart ... am I glad he's gone :p) After re-reading this, I can understand why people say that this is least-liked book of the series. It's a bit slow in the beginning, but the action in the end makes it well worth the read. 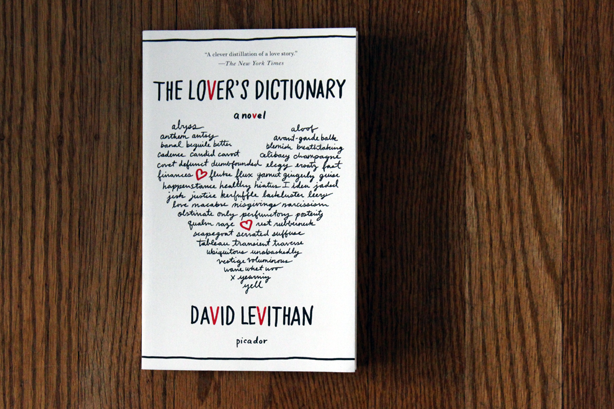 Although The Lover's Dictionary is a short book, it took me a lot longer to get through than I anticipated. If you're planning to read this, keep a dictionary nearby! This was definitely not an "unplug and read" book — I was on Google the whole time searching up almost every word. Not only that, but I made a goal in June 2013 to jot down every word and definition I am not familiar with ... so I guess you can picture me writing ferociously after each page I read. I loved how the author's memory/thoughts tied in with each word, but I didn't really have time to build a care for the relationship between the author (I'm assuming he's a male) and his lover because the book was so short. What did you read in the month of February? I have Fangirl in my ereader and can't wait to start it once I wrap my two current reads! I need to read Fangirl! I liked Eleanor and Park a lot! Yay to Harry Potter! Best books ever! Aw Harry Potter <3 I just love those books!